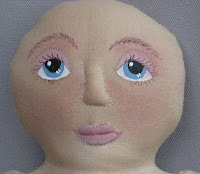 I've been busy since I last posted finishing more dolls and working on the topsy-turvy doll pattern. I hurt my back and couldn't do much for a few days but I'm back to finishing projects. I have too many UFOs in my sewing room now so I need to get some stuff done. Finally got the cute little paper mache pumpkin done for the crochet bear. I also made some Halloween tags I'll be including when he sells. Don't have a pic with it so I'll just post this one. 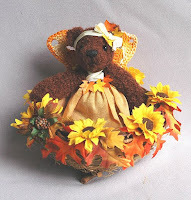 I also finished this sweet fall fairy bear. She's made using the same brown yarn as the Halloween bear. She's sitting in a nest decorated with silk sunflowers. Her wings are crocheted from orange and white variegated thread. Here's a picture of the rabbit I made back in the spring but with her new wings and wand. Isn't she so pretty? None of them are up on ebay yet. Just thought I'd wait until next month. I also have 2 crocheted mermaids and will soon be done with a cat angel and a tree lady! The cat was supposed to be done for my HA31 ebay group it was based on a poem about a cat that barely hangs on to her witch's broom that a fellow member wrote. My version is the cat who lost hold and is now an angel. I really like her and might have to live with her a while before I put her up for sale. Because I hurt my back I didn't get it finished in time. Same with the tree. She was supposed to be done for SEHA at ebay last week but I'm just finishing the fabric for the bark. I still want to couch more fibers to it. This tree will have a "people"face, arm branches that end in fingers, leaves for her hair, and other embellishments. I saw a picture of one done in Soft Dolls and Animals magazine a few years ago and knew I wanted to do my version. When I get them done, I'll post pictures! I've actually been working on things instead of vegging out. 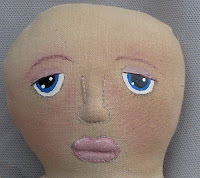 Here's head shots of the new doll pattern I'm working on. It's a folk art topsy turvy doll. Next comes the clothing and then the hair, and the directions of course. When I was designing Lena I learned it's best to work on the directions in pub. as I go so I won't have to type them all at one time. Also helps me keep track of what I need pictures or drawings of. I also have some crocheted bears done and ready to put up on ebay. Also got the rabbit wings and wand done. I'll post pics of them later. I was so happy with the prizes I won at Bonehead Studios! I got a great polka dot paper cone (love how it's decorated! ), a glittered pumpkin, some tags, and a few other things. Flora just got in at a new site. 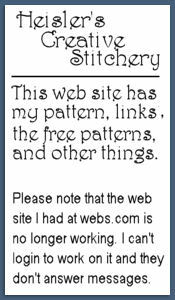 Have a look at the site blog: http://spookytimejingles.blogspot.com/ Not sure when the regular site will be finished. Got so mad at Yahoo about how much they raised my domain registration ( $9.95 to 34.95!) that I asked some friends in the groups I belong to if they could suggest what to do. One person, Day, said to transfer it to godaddy.com. The transfer has gone thru but now I'm waiting for the redirect to work. 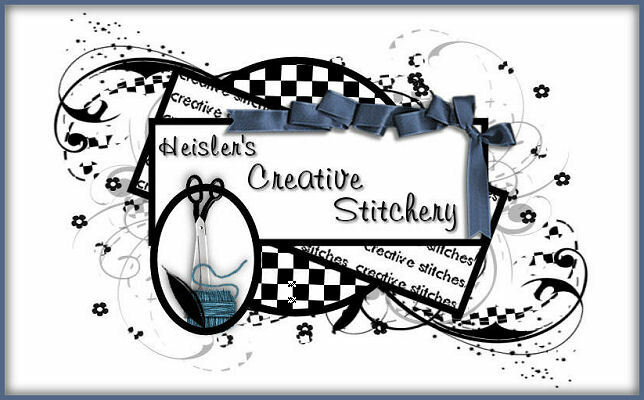 I built the site before I ever got a domain so it's actually at geocities : http://www.geocities.com/bjstitches/ Hope to get the forward working soon as the first issue my ad is in comes out in August.